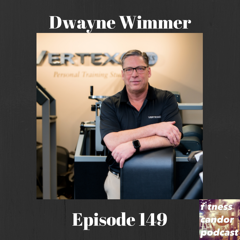 Vertex Fitness was honored to be featured on the Fitness Candor podcast with Eric Feigl. Fitness Candor is a monthly podcast highlighting fitness, health, and nutrition industry professionals who make an impact in their field.The Fitness Candor podcast has been going strong since 2014, and we are featured on the 149th episode–“How Not to be a Weight Caddy”. I sat down to talk with Eric about what “professionalism” really means in the personal training and fitness industry. Eric and I talked about how, as trainers, we’re not just weight caddies and rep counters–we actually teach our clients on every rep, every set, and during every session they’re with us. Our clients should never be doing exactly the same thing week to week. This isn’t necessarily just more weight, but better form, and a better understanding. My job is to make sure they don’t get stagnant in their progress and gains, or their understanding. We are teachers of exercise and experts–if you’re getting your knowledge off of YouTube, you’re probably not the type of professional that your clients need to keep growing. The field of exercise science is advancing every day, so the trainer should also be looking to constantly improve and educate themselves. As Eric puts it, “If you consider yourself a professional, don’t simply go online, find somebody else’s work out, and test it out on your own clients. That’s not all you need to do to educate themselves.” Your clients shouldn’t be your guinea pigs, and it shouldn’t be about the latest and greatest fads–there should be a very solid basis to what you’re doing with your clients. I feel that people forget what we’re doing. We’re simply providing a stimulus for the body to change. Our industry has gone all in on marketing, which comes before the science. Most of the fitness industry is simply selling entertainment. If you entertain them while they’re in the gym, they’ll come back, at least until they notice they’re not getting any benefit. What we really have to do is look at the simplest form of what we’re doing–we’re providing an artificial stimulus to cause our bodies to adapt, because we don’t get that stimulus in our everyday lives. Do we need to dance around for an hour? No. That’s not really creating much stimulus at all, it’s just getting you moving. That’s not a bad thing in and of itself, it just doesn’t fit the definition of exercise. Eric asked me “what defines the term professional?” The industry is easy to get into–there are so many franchises that will give you turn key way to run your business. Are they professionals? I would suggest that most of them are marketing professionals that use exercise to make them money. They perform marketing to get people to pay them money to come to a place, and they are simply paying money to be there. I don’t consider most of them to be professionals in the fitness industry. Most places, they aren’t seeing many results. They’re owned by people who have no idea what exercise is, and it’s just another revenue stream for them. I would liken our industry to the medical industry. We should not be able to take a weekend course and then be put in front of the general population to give them exercise information. We have the ability to change people’s lives for the rest of their lives, positively or negatively. Some of the things I see people do are potentially dangerous, and they’re allowed to do that because of a weekend course. They should study this and know what they’re doing, and be credentialed, not just do what other people are doing. This is very easy money for a lot of people because the general public has very little education and knowledge on this topic. Listen on iTunes or Podbean or just click the link below.